A new beautifully illustrated celebration of love and friendship from the bestselling creators behind I’ll Never Let You Go and I Love You Night and Day. 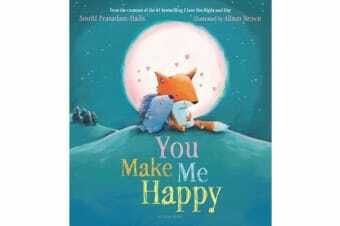 In this delightfully optimistic and uplifting observance of that special someone who makes you happy, Fox and Porcupine discover that when they’re together, life is ever so much brighter. Gorgeous, fun, and full of heart, this is the perfect gift for that sweet ray of light in your life. Together there’s NOTHING that we cannot do. And right by your side is where I belong.